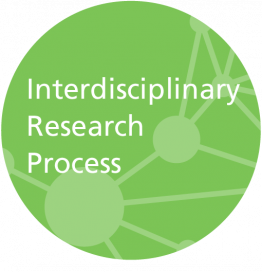 Interdisciplinary research has its own set of methods, rules, opportunities and challenges. Students therefore need a clear understanding of all the necessary steps that need to be taken when tackling interdisciplinary research problems. Even though some students are able to integrate different ideas creatively, course evaluations often show that students have issues with the last steps of the interdisciplinary research process: creating common ground and integrating different perspectives. In this workshop, we will combine practical assignments and the knowledge of the hosts and participants in order to find out what it means to work as a disciplined ‘interdisciplinarian’ and how to bridge the gap between multidisciplinarity and interdisciplinarity.